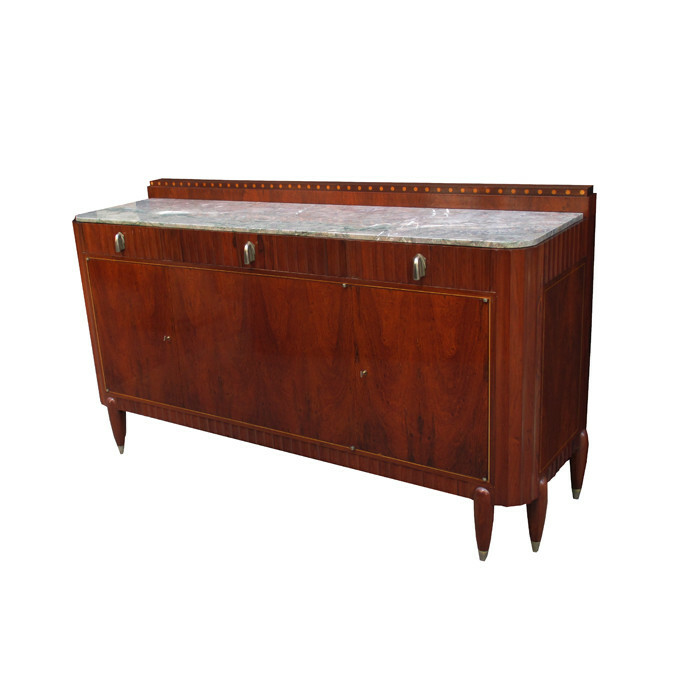 A fine Art Deco sideboard designed by Mercier Frères. 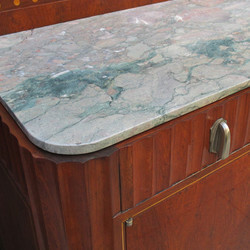 Mahogany with fruitwood inlay details, marble top ,patinated bronze pulls and sabots. Dimensions: H:43½ W:78 D:23½ Inches.